Grandmother, daughter and granddaughter: three generations of hairdressers under one roof. 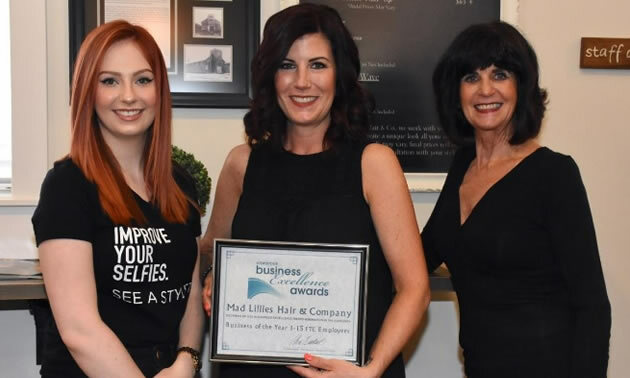 Mad Lillies Hair & Co. in Cranbrook, B.C., is celebrating its one-year anniversary, and looking back, it has been quite a year for the grandmother, daughter and granddaughter trio behind it all. 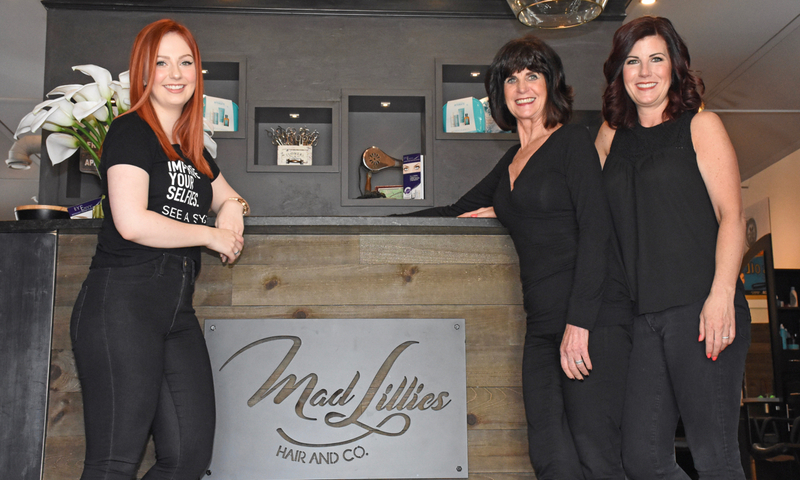 Marilyn McGovern, her daughter, Jodi Yates, and granddaughter, Makenzie Yates, are the brains behind the beauty that is Mad Lillies: a hair salon that offers a wide range of treats and treatments. Marilyn, who has 52 years of hairdressing experience, and Jodi, who has 26, have both worked in salons, and from their homes. They are happiest, however, when they are working together. The idea for Mad Lillies blossomed when Makenzie decided to move back to Cranbrook after finishing her schooling at Vidal Sassoon in London, England. She needed a salon to work in, and with the timing just right, the three decided to open their own salon. The renovations began, and just 75 intense days later, Mad Lillies opened on May 1, 2017. Looking back, Marilyn and Jodi weren’t at all shocked when Makenzie decided to join them in the profession. Clients were excited about the opening and having something new brought to downtown Cranbrook. Some were even moved to tears over their excitement for the ladies. The trio agreed that it is always easy to come to work when you’re with your best friends. They like to joke around and keep things light. A lot of thought goes into a name, and Mad Lillies is no exception. Mad Lillies’ vision for the future is to keep moving forward with the momentum they’ve built this past year. 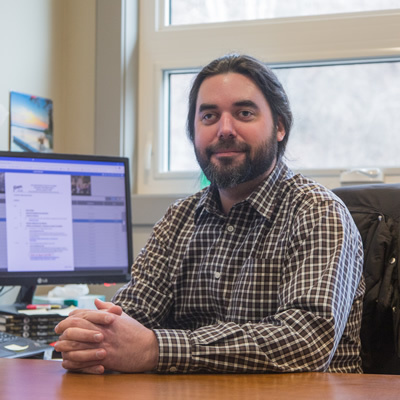 They were nominated for a Business of the Year award by the Cranbrook Chamber of Commerce, and it’s easy to see why. In addition to a full-service salon, Mad Lillies also offers manicures, pedicures, massages, lash extensions, waxing, teeth whitening, facials, laser hair removal, IPL Photo Rejuvenation, RMD (structural remodelling of the face) and Lumicell treatment (body contouring and cellulite reduction). Last summer, the trio went to Calgary, Alberta, to be certified as facial therapists and laser technicians. They hope to expand their services in skin care even more in the future, with services like microdermabrasion and tattoo removal. 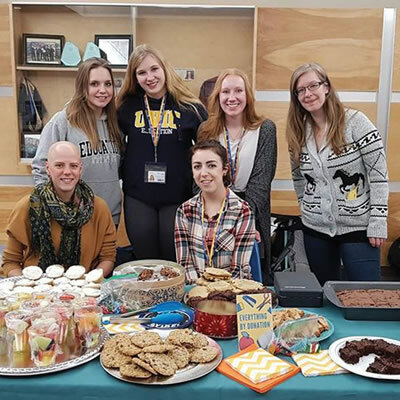 “(Offering these services is) nice, because a lot of the time people would have to go to Calgary to have these treatments done, but now, we offer them here,” Marilyn said. 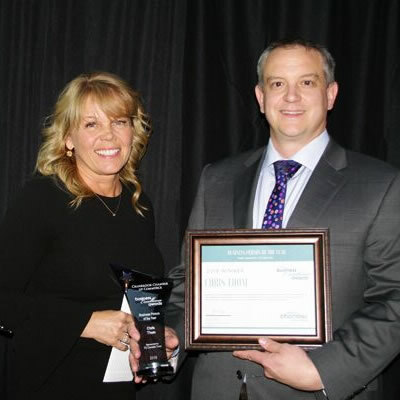 “We want to say a huge thank you to our clients who continue to patronize our business, and are humbled by their support,” said Jodi. To book an appointment with the wonderful people at Mad Lillies Hair & Co., call (250) 426-6701, or visit them at 1219 Baker Lane, Cranbrook B.C. Marilyn McGovern was raised in Kimberley B.C., and attended a hairdressing school in Nelson, B.C., before beginning her career at Stefan’s Hair Studio in Cranbrook. Having worked at other salons and from her own home, she knows her favourite place to work is alongside her best friends and family members. Jodi attended the London School of Hairdressing in Vancouver and worked as a shampoo girl at Blondies before returning to Cranbrook and working at Diamond Cut. This is where she first began working alongside her mother. Makenzie graduated from Mount Baker Secondary School in 2014 and began her studies at Vidal Sassoon shortly after. 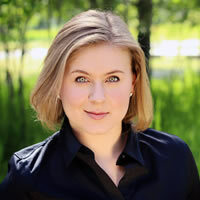 Now, she is working alongside her mother and grandmother at their co-owned salon Mad Lillies Hair & Co.
All three ladies are licensed laser therapists, and hope to expand their salon’s wide range of beauty treatments in the coming years.